Before we can talk about where architecture is going, Marc Kushner believes we must first look at where we came from...even if it involves painful pictures from the ‘80s. A quick trip down memory lane, from the concrete monstrosities of Brutalist's heyday to the rise of Deconstructivism, shows unpopular movements were able to flourish because the public was disconnected from architecture. Now, new forms of media are empowering the public to become an integral part of the design process and feedback loop. Kushner’s unique position at the intersection of architecture and social media makes him the perfect fit to talk about the industry’s shifting landscape. The practicing architect splits his time between designing buildings at Hollwich Kushner, the firm he cofounded, and running Architizer.com, the world’s largest database for connecting architects and manufacturers. According to Kushner, the media is driving a revolution in architecture...one that ultimately puts the future of buildings into the public’s hands. “Forget the zoning, budgets, and maintenance. Architecture is the visceral, emotional connections we feel to the places we spend our time,” Kushner said. In America, where we spend an average of 90% of our time indoors, this is a big deal. Certain forms and shapes symbolize qualities that architects are all too aware of. Take the Parthenon, a design that screams stability and democracy. Tons of libraries mimic design elements of the ancient Greeks to convey this "democratic" message...yet others take bold risks, like the striking Seattle Public Library. 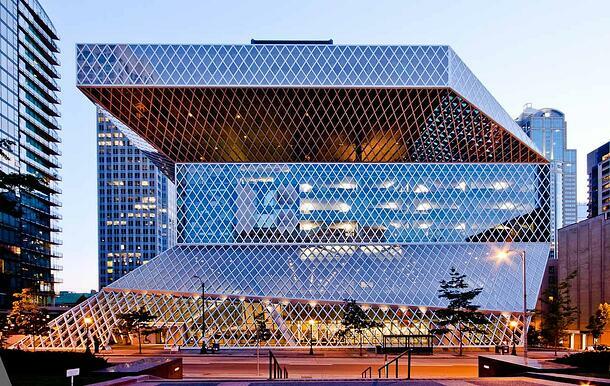 “The Seattle Library is built for how we use media in a new digital age. The designers clearly asked: How can libraries become a new kind of public amenity for the city?” Kushner said. Why is it that buildings tend to swing so drastically between these traditional and experimental styles? Kushner believes the answer to that question lies in the fact that architecture operates on a pendulum. 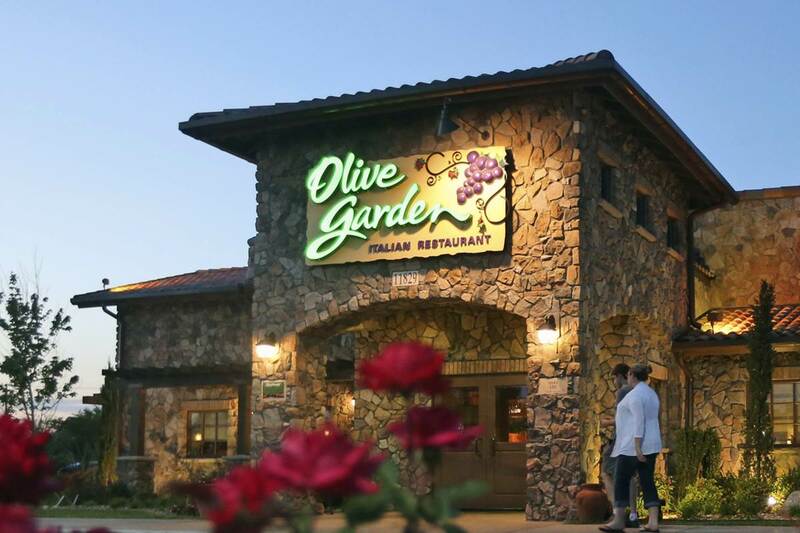 He brings up a ubiquitous example: Olive Garden. “We know this isn’t Tuscany; it’s actually Ohio. Symbols are cheap and easy. We’re not building places, we’re building memories of places,” he said. 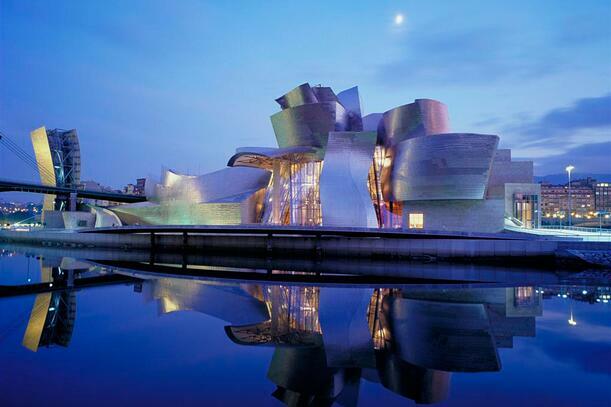 However, something began to shift with the creation of the Guggenheim Bilbao in 1997. “The Guggenheim Bilbao fundamentally changed the way the public consumed architecture," Kushner said. Because the media galvanized around its unique form, tourism increased 2500% in Bilbao and Frank Gehry became the first true "starchitect." The media gave these forms new meaning (culture! tourism! ), driving a phenomenon that's only accelerating today, 20 years later. These changes in the way people communicate has rippled into our interactions with the built environment. In fact, feedback from social media now reaches architects years before a building is even created. What’s especially interesting is that architecture has never had a good feedback loop, which is how we ended up with “a 20-year Brutalist movement that nobody liked.” Now, the difference between architecture and consumer is blurred so that people are not only actively shaping the buildings of the future, but creating better buildings. “As you apply the media to that pendulum, it starts swing faster and faster, until its at both sides simultaneously, and we can those connections to forms we’ve never seen before,” he said. Kushner shared recent examples from his own work at HWKN. When a building on Fire Island burned down five years ago, Kushner’s team stepped in with some innovative new designs. “We were scared, our clients were scared, so we did something that’s obvious now: We put photorealistic renderings online, and we let people talk and interact,” Kushner explained. When the renderings looked like the finished product, there were no surprises. 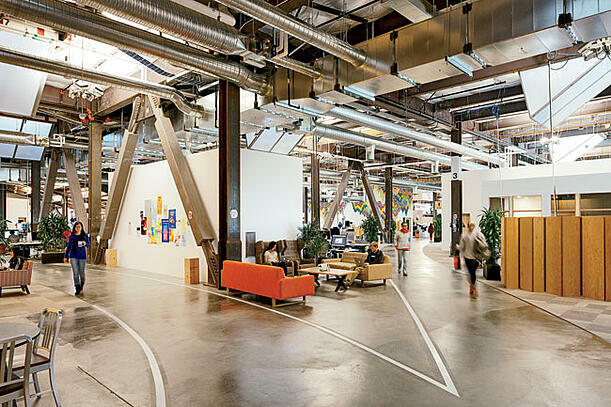 Another example of the power of social media was the recent opening of the Facebook campus in San Francisco, which was revealed to the public not by a press release to the New York Times, but by 50 Instagrammers who were invited to "meet the masterpiece." Proof of this hunger also came from one of HWKN’s latest projects, the Pennovation Center at the University of Pennsylvania. 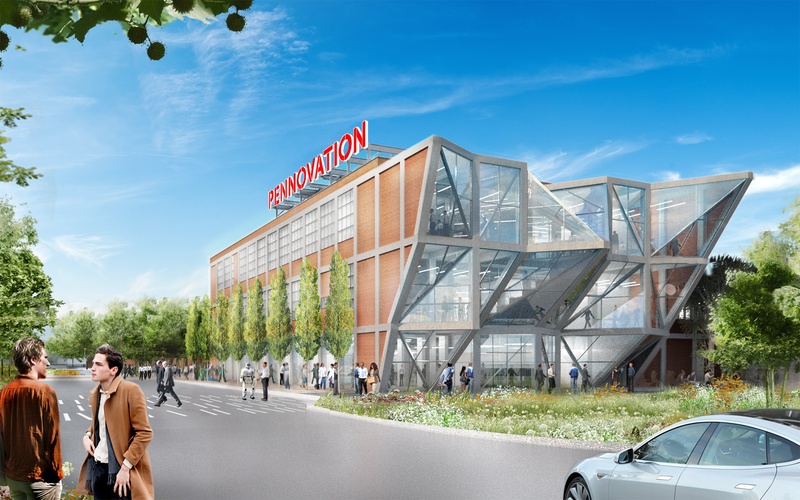 To bring the 58,000 sq-ft, three-story former industrial warehouse to life as UPenn’s new hub for entrepreneurialism, the team dug deep to determine the need: what does innovation really mean, and what does a building need to perform and unleash the creative energy between different people? One unique design decision was to use the necessary infrastructure as a purposeful architectural element. HWKN supersized the big duct, and kept the columns and steel to retain an industrial character. The interior isn’t “too precious” for innovators to do what they do best: experiment and make a big mess. When it comes to the exterior, a striking, spiky front facade became the visual communication to the rest of the world: “creativity lives inside.” The unique crystal formation gives the Pennovation Center a high-profile identity and boldly generates PR value for both the building and the entrepreneurs inside. “What I love to see are all the Instagram pictures of people engaging in the space in ways we didn’t think of, that tell the story of the buildings,” Kushner said. Kushner’s outlook for the future of architecture is bursting with excitement at the possibilities. 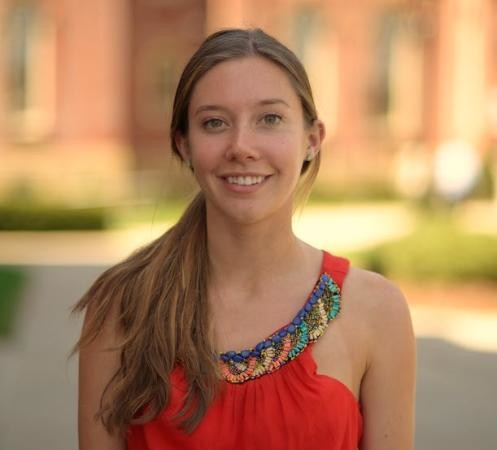 “We all want bigger budgets and to build better buildings. Social media has finally given us the capital with which to get that money,” he said. "Buildings don't just reflect our society; they shape our society." As the media invites the public into the design process, a future of more-meaningful spaces is ushered in. Kushner believes we’re entering a new age where we expect buildings to do far more than provide a roof over our head, to work for us rather than happen to us. Your campus has a golden opportunity to better-serve digitally-savvy students by tapping into their 24/7 connection to social media. Social media can do more for architects than showcase dazzling new facilities--though that's a definite plus. Facilities leaders and architects can also capitalize to engage with students and faculty in an unprecedented manner. In an era where universities must differentiate by building their brand, it's essential to get feedback on the buildings that shape the campus from the students who live, play, work and learn in them.